Already on Saturday - 24.09., we will meet at Kandava again in order to put points on the "i" in a number of stages for the final season - Baltic Rotax Max Challenge Cup 6th round, Latvian Karting Open Championship 5th event and Latvian Rotax Max Challenge Cup 5th event. We remind you that yet until Wednesday (21.09.) At. 24:00 actively going for participants race. The constant, it is possible to make www.prokart.lv website, in the "Race". 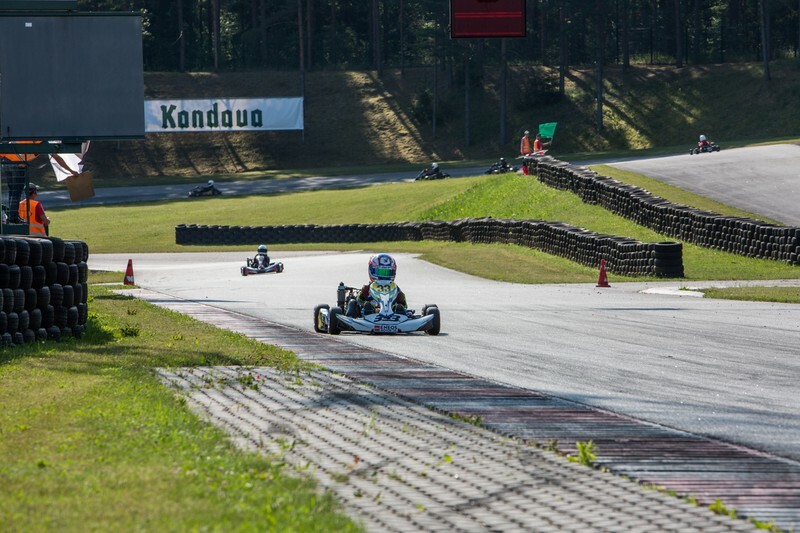 In view of the minor technical problems in connection with the application for the race on Saturday, it should be noted that the Latvian Championship will also include the final KZ2 class finals, because also in this class we have to clarify Latvian Champion. As well as, of course, the fact remains that all competition-related provisions can be found in the "Terms". These stages will be fought Latvian Championship titles and they cleared the Latvian racers who represent Latvia in the Rotax Grand Final races in Italy, Sarno from 15 to 22 October. As well as the line up will be the strongest in the Baltic Rotax racers to distribute tickets to the Grand Final that same trip, only within the framework of the Baltic. Kandavas kartodroms free practice will take place on 22.09. and 23.9. from. 12:00 to 18:00. It should be noted that the registration of participants, the technical commission, issuing a tire on Saturday, will take place from. 8:00 to 9:00. Participants at the meeting will be held from 9:00 to 9:15. We remind you that participation in the meeting is invariably obligatory and please not to interfere! The total estimated duration of the competition 24.09.2016 is from. 8:00 to 19:00. Participants Park opens on Thursday 22.09. from 10.00. Participants accommodation places are granted only competitors. Places are not pre-booked. Race officials allocate them in the order in which the participants arrive at the spaces. It is also stressed that participation in the formal awards ceremony is mandatory, not taking into account places won and prizes! Little insight Kandavas Kartadroma history - it was built in 1972. In 1987 it was renewed asphalt cover. In 2008, the track has been completely renovated, transformed its configuration and built according to international standards. Reconstruction designed by Hermann Tilke and his office Tilke GmbH, which has developed a number of Formula 1 track projects. We remind you that all the race results online will be found here www.results.lv., In turn, the race will be published www.prokart.lv page under the "Race". As well as throughout the event, participants views and behind the scenes will be possible to follow up on our Facebook page www.facebook.com/Pro-Kart. We remind you that the results of the background, a photo and video of the season 10.09.2016 stage 7. www.prokart.lv possible to find the page in the "Race / 2016"
It is no secret that the 2016 karting season already on the finish line, so we invite all the athletes on the track to show their best performance to the award ceremony can be proud of their work done! Good luck!